Maybe it’s because I’m from southeastern Ohio, but talking with Wyoming cattleman Mike Healy gave me a whole new perspective of ranching in the West. 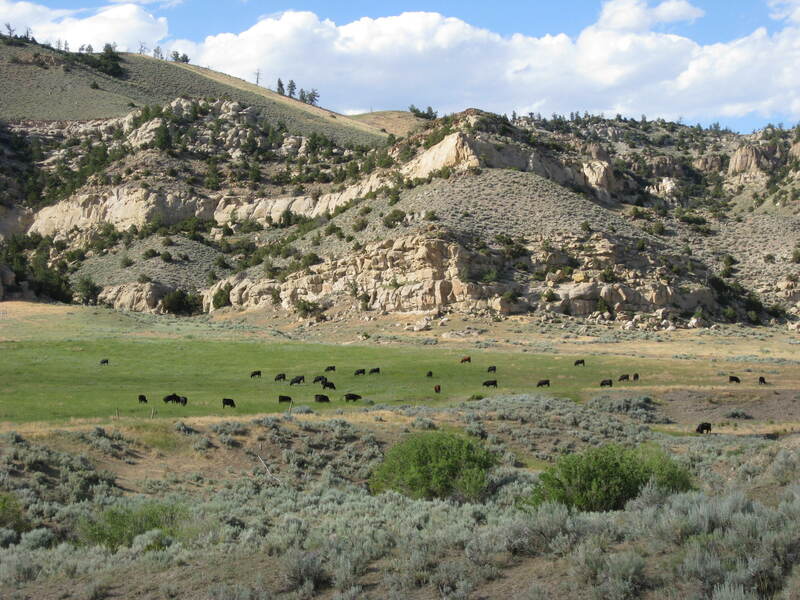 This 100-year-old cow-calf operation spans 150,000 acres in the foothills of the Absaroka mountain range, where annual precipitation is 5 to 7 inches and cattle graze at elevations ranging from 4,500 to 8,500 feet. There are fascinating elements and challenges surrounding the land, operation and genetics. The LU Ranch near Worland, Wyo., is home to 1,400 cows and 300 heifers, all managed to profitably meet the needs of packers and consumers. Mike says they focus on marbling quality, ribeye size and carcass weights, and that begins with breeding. 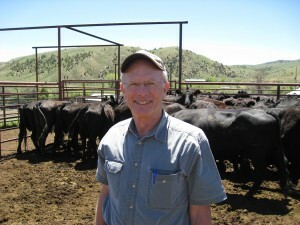 He is looking out for the characteristics that pay: like producing cattle that meet Certified Angus Beef brand specs. “If you can produce more CAB qualified meat then that is one way to ensure your cattle are accepted at feedlots,” Mike says. The herd averages 32% CAB, but progeny from heifers selected with the help of DNA testing made 47% CAB this year. The calf crop from the ranch is sent to Decatur County Feedyard near Oberlin, Kan., where Mike appreciates the individual cattle management and return of individual data. Having 1,400 cows running on 150,000 acres comes with many challenges. Pasture rotations and water development on this scale take a lot of planning and timely action. Being nestled against the mountains that go into Yellowstone National Park means there is plenty of wildlife and that requires more management. Mike admits he is “getting up there” in age and is trying to figure out how to stay busy while backing off on some of his duties on the ranch. PS–Be sure to watch the Angus Journal this fall to get the scoop on Mike and the LU Ranch.